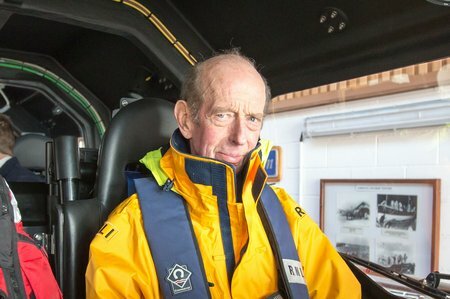 Monday, 30 March 2015, London: One year after an MOB in the middle of the Pacific Ocean, during the Clipper 2013-14 Round the World Yacht Race, in which a crew member was successfully rescued after 100 minutes in the water, organisers have revealed the development of a new automatically activated AIS beacon. 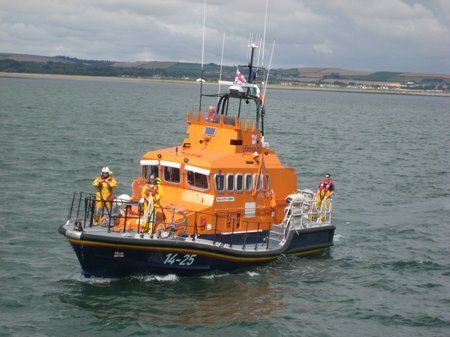 A new research project being run by the RNLI (Royal National Lifeboat Institution) is exploring attitudes towards risk and safety, and the various ways in which yacht sailors participate in their sport. 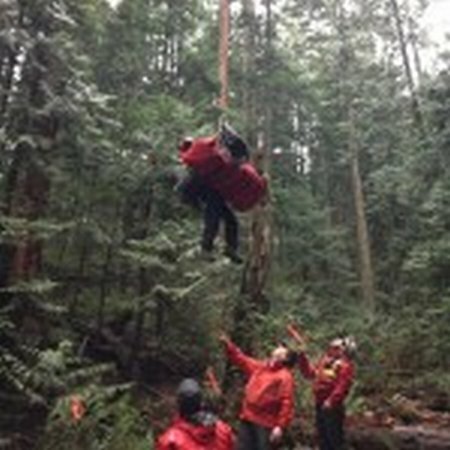 On Wednesday March 18 North Shore Rescue was activated by both the North Vancouver RCMP and the West Vancouver Police for two unrelated missing persons files. 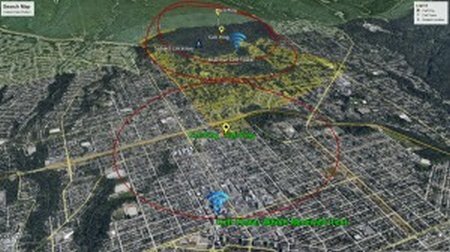 NSR, police, RCMP air services and Talon Helicopters were able to scour likely areas for both based on initial information from family and friends. “Plane crashes can occur for various reasons – severe weather conditions, pilot error or mechanical failure. 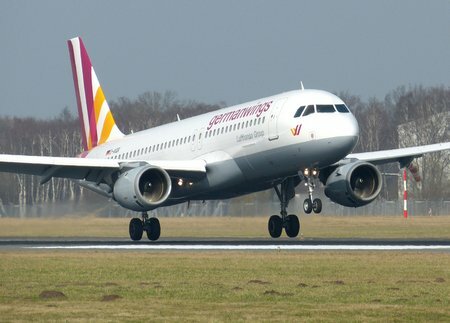 Early data suggests that the Germanwings flight 4U 9525 disaster could be the result of a combination of mechanical failure and pilot error. 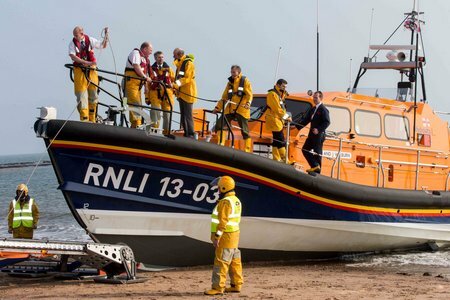 PR230315 Katie Burke (front centre) samples her ‘Katie’s Strawberry Shortcake’ flavour gelato with the other four finalists and (back left to right): Owner of Antonio’s, Tony Badcott; Emma Chandler and Andy Williams from Exmouth RNLI. 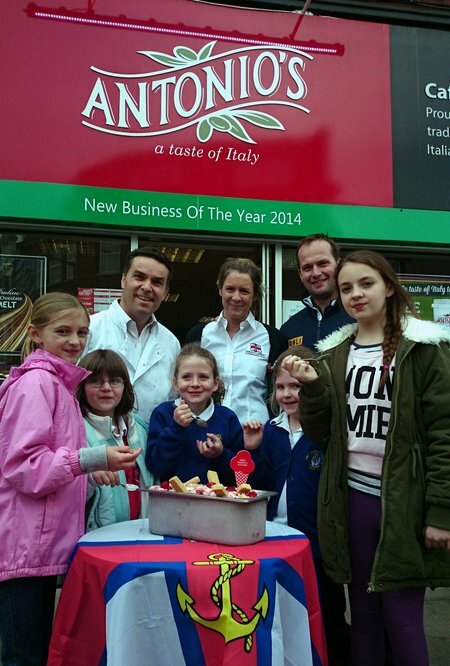 Seven year old Katie Burke has designed a flavour of Italian ice cream (gelato) to be made and sold at Antonio’s in the Strand, Exmouth to raise money to save lives at sea. Katie was announced the winner on 23 March at the café with all five finalists and their parents present. London, March 24, 2015. Shipping losses continued their long-term downward trend with 75 reported worldwide in 2014, making it the safest year in shipping for 10 years, according to Allianz Global Corporate & Specialty SE’s (AGCS) third annual Safety and Shipping Review 2015, which analyzes reported shipping losses of over 100 gross tons. 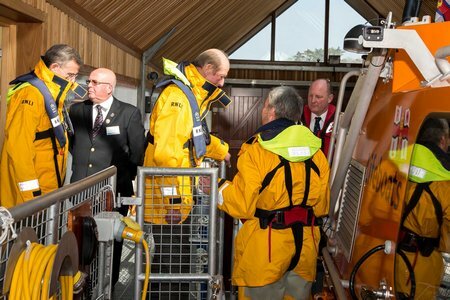 Exmouth RNLI’s volunteer lifeboat crew and fundraisers welcomed His Royal Highness The Duke of Kent to their lifeboat station this afternoon (Thursday 19 March). 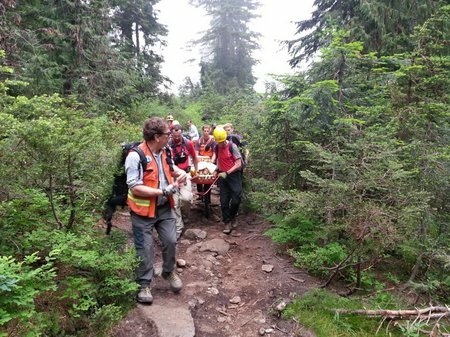 This post was in response to the following Georgia Straight article, titled “Hikers urged to post #TrailheadSelfie to aid search-and-rescue efforts.” We DO NOT agree with the TrailHead Selfie being advocated in relation to sharing trip plans with others. While it is an interesting concept, it should fall very far down the continuum of things to do to stay safe. Now that the cat is out of the bag, we feel it is critical to make it explicit that it is NOT an alternative, in any way, to telling someone responsible where you are going, when to expect you back and carrying the 10 Essentials. We believe there is a serious risk of it being confused as an alternative and it could be dangerous if people fail to do the basics, thinking mistakenly they are covered by a Selfie. Assume someone doesn’t click the link to get more info? or just reads the title of the article? What is the takeaway message? It looks like an endorsement of a lazy option that could get you or your loved one into some serious trouble. 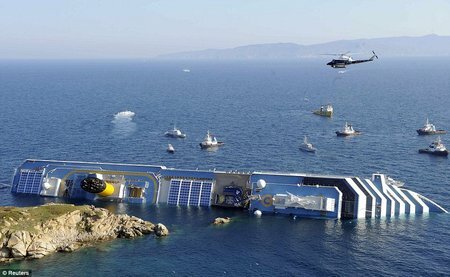 Our opinion is that the grave risks of misapprehension far outweigh the minimal benefits to SAR. 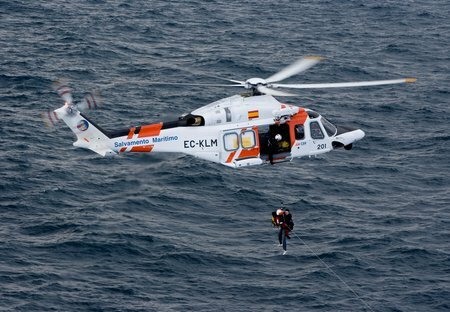 Finmeccanica – AgustaWestland announced today it has signed a contract with Badan SAR Nasional (Basarnas), the national search and rescue agency of the Republic of Indonesia, for an AW139 intermediate twin engine helicopter equipped for SAR operations. The contract also includes training for aircrew and technicians as well as an initial support package. The aircraft will be delivered by the end of 2015 and will be equipped with rescue hoist, radar, cabin console and other SAR equipment. 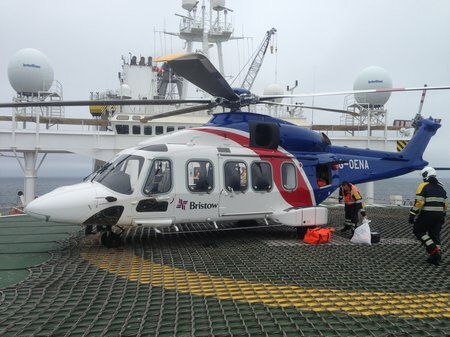 Finmeccanica-AgustaWestland celebrated the official opening of its new Regional Supply Centre in Aberdeen, Scotland on March 13th. The opening ceremony was held in the presence of local dignitaries and representatives from major operators and industry.